1 x .30 cal M1919A4 Machine Guns (Coaxial). Armour Upper Hull Front: 140mm. Notes This heavy weight version of the M4 was designed as an assault tank to breech prepared defences. By this stage of the war the US army still lacked a heavy tank which could absorb punishment and support the Infantry in frontal attacks against German strong points. The M26 was still being developed so an interim vehicles was needed. The M4 was a readymade candidate and was heavily up-armoured with 140mm hull and 152mm turret armour, this reduced the speed down to 24 kph. 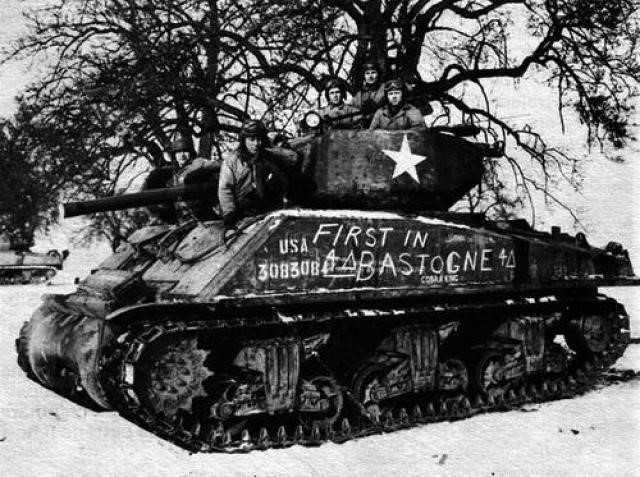 The first Jumbo’s saw action in October 1944 and the first tank to breakthrough to the defenders in Bastogne was a M4 Jumbo.